The first-ever biblical television drama series. Television experts from China, Hong Kong and Singapore jointly produced the program. Following the paths of "Life is a miracle" and "Forever and ever", it spreads the spirit of love, promotes the lofty value of life, encourages the leading of a colorful life. The setting of Life Angel is Hong Kong in the 1950's. It describes Hong Kong people striving for success during that time. It is another heart-warming drama, after the films "Life is a miracle" and "Forever and ever", to remind youngsters of positive values in life. The filming was done in "Heng Dian film city" in the city of Hang Zhou, Zhejiang province in China. The story is about a young man, Ming Leung, who is gifted in music. He suffers from hemophilia since his birth. When preparing to show the world his talents, he is diagnosed of having leukemia and died shortly after his debut. Although his life is short, it is full of excitement. His fight for the disease has affected people around him. The drama series tell the stories of Ming Leung and his friends, teachers and family members in a light-hearted and humorous manner. The Media Evangelism Limited, Spring-Time Television Productions Ltd. and SPH Media Works Ltd.
Life Angel is the first-ever biblical television drama series. The script and theme received good responses in the mainland China and Singapore. 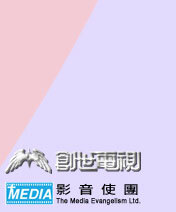 Apart from being broadcasted on Creation TV, the series will also be broadcasted in mainland China and Singapore. Rev. Enoch Lam plays a main character in the series. Rev. Lam says that it is a very special production, as half of the story talks about the pastor he plays in the series. He believes this is a major breakthrough, as audience in the mainland China will also watch the TV series. Another point of interest is Rev. Lam uses magic in the drama to preach the Gospel. "After reading the script, I have experienced a lot of changes. The story has taught me to treasure life. I am more privileged than many other people in the world." "Some of the actors and actresses were so touched when reading the script that they cried. Whenever I am caught in the state of adversity, I know there will be a helping hand around." "Although I am not a Christian, through my acting and playing the harmonica, the gospels’ message has been sent, it is a very meaningful thing to do." "You might not know that I taught religious studies before in a high school. This television series has made me to think deeply about faith again. In fact, I am just like a seed scattered along the rocky road." "This is a television series for saving those depressed and hopeless people."